Had a GREAT run today. AC (Alex the Canadian) was a little late, he peaked his head out in his work clothes and said "Can you wait?" Totally... I got a VERY LONG stretch in. And off we went. It was a beautiful day, cool and dry. The conversation flowed, pace was steady...then we passed a large Garbage trailer.. STINK!! Wow that was Gross... Sped up a little to get away from the stink. We talked about kids names and I even got a quick history lesson. I am having a TOUGH time. My favorite 6 mile route is blocked by flood berms and I cannot find a good 6 mile route. I should not complain because there are some pretty great paved trails near my office...I just MISS my old route. UGH!! It was better running with my buddy. He is pretty funny and very encouraging. HUGE Thanks to Bondiband headbands for the amazing package of freebies they sent Tall Mom....look for a Giveaway soon!! 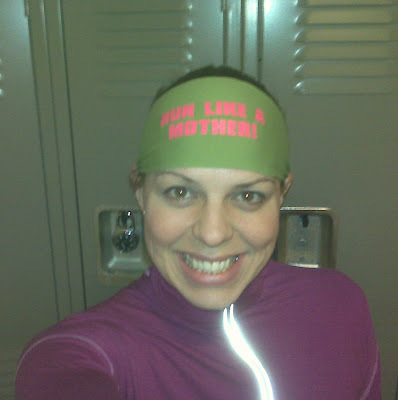 I love my "Run Like a Mother!" headband, full review on Tuesday. This company is quickly becoming a Tall Mom Favorite. If you want to buy your own Bondiband go to Katye's Fundraiser HERE. Last night after work I went to Fleet Feet to exchange the Asic Kayano 16's because they were heavy and did not have any cush. The guy (Rude me did not catch his name) at Fleet Feet said that Asics added more gel to the 16's, bad move. I ran on the treadmill so he could check for pronation.....WELL... I only have slight pronation, it just looks worse because I run with my toes pointed out, sorta like a Penguin. This has ALWAYS been my un-ladylike stance. So I tried on a couple pairs and decided on the Brooks Adrenaline GTS 10 HERE. With $100 price tag and PRETTY purple and pink colors, I am excited to see if these beauties will be my new Go-To shoes to "Run happy". Full review soon. As luck would have it the WONDERFUL people at Brooks (HERE) sent me some gear to test which is the same purple as the shoes.. Guess what matchy-matchy Tall Mom will be rocking on the long run tomorrow? THANKS BROOKS!! Our Love on the Run- Go become a Follower of Bethany & Ryan, or leave LOTS of comments because they will donate money to Save the Children. Do you, or anyone you know, deserve a High Five today? Let me know..
For FUN I will be posting my Wednesday Runs in the form of ABC bullet topics with 3 bullets for each letter. Gives me something to think about during my run. Next week will be GHI and so on… Can you tell I am a MOM?? I am sure some weeks will be tougher, I better start thinking about "X" now.. ENJOY!! Weather was great, my energy level was low but overall I am proud of my pace. Over the entire distance of 7 miles I was by myself but I was never alone. There was always a runner, bikers, walker or person eating fast food in their car. This was comforting. The cast of characters: the dorks (this time they said hello), a man with perfect posture who waved like a toy soldier, two men walking in mechanic style blue coats with name tags Vladimer and Larry (Just kidding on Larry but I was able to make out Vlad), a couple biking in BRIGHT day-glow colors, a FAST runner in a white shirt and MORE. At mile 3 my stomach started to cramp up, not a great distance to be in pain. Just after that mile I also spotted Mount Rainier, this helped take my focus from my pain. I am not sure what is wrong with my stomach, about a year ago I had a battery of tests done and was given a clean bill of health. Gotta love the phantom pain. Some days I feel I could run forever, today was not one of those days. The 7 mile distance felt LONG and tough. Thankfully at mile 3.5 another runner was just in front of me, I used him to stay on top of my pace. On rough days it is better to get out of your head and RUN. Over the next 3 months I need to build my muscular endurance. Today I could feel where I lack strength, legs, arms and core…. Hmmmm!! I have a lot of work to do. I have been slacking on my lifting and ab goals...OOPS! Tempo runs are not supposed to be easy, speed work helps train your brain for some discomfort, to endure the pain that comes with the distance. Next week I have hill training. Just over 3 months of training left. Anyone agree that the Marathon is the reward after months of enduring the training BATTLE? My shoes were supposed to retire 3 weeks ago. I do not like the Asics Kayano 16's, I find them to be heavy and with no cush. So I have a pair to exchange when I can FINALLY make it to Fleet Feet. I have plenty of shoes for 5K distance, but my Asics no longer function for long runs. Amazing what a GREAT pair of shoes can do for the legs. 3=7:54 *Weird that I repeated the same pace? I don’t function well on less than 8 hours of sleep. I feel rundown and like I am going to get sick again. Darn you Biggest Loser keeping me up past my bedtime!! Libby is a member of the Tall Mom 1,000+++ Club and new to racing. Stop in on her Blog, she has a couple fun race reports. Congrats Libby, please send me an email and I will connect you with TMB to get your prize. Work route, 4 miles with co-workers and 2 solo. Nice clear day. So why you ask am I a LOSER? Well I probably should not tell you this...but... When I was getting ready to run I realized I had forgotten a very important piece of gear. Somehow my sports bra escaped my bag.. UGH!! I had my running buddies all lined up, and I did not want to cancel. So I did a little test jog in the locker room and thankfully my normal bra worked. I have the same issue as my favorite redhead Morgan, check out her funny post HERE. The irony is just down the road from Morgan, miss Robin did a recent review on those whose cups runneth over, if you fall into that category check out her review HERE. Back to Running... I was supposed to do a Tempo run but Zen Runner and AC wanted to run so I switched up my plan (AC stands for Alex the Canadian, we played with nicknames and nothing stuck). We did 4 as a group talking about the Olympics including hockey and skiing, work and running. I have never skied, just another random fact for you. We sprinted to the Finish, I dropped them off, turned on my Ipod and went. The loop across the swamp bridge, I always wonder if I am going to see Kerrie. My knee felt a little weak, I know I need to do more strength training!! Overall the run was a major success, well besides being sweaty the rest of the day due to my gear mishap (LOSER). Today is TEMPO run DEF, wish me luck. 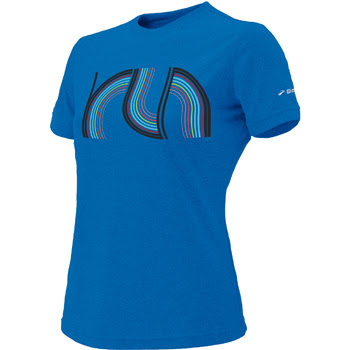 **What gear have you forgotten and what did you do to still get your run in? This is the day I dedicate to all things I review. Sorry this is a little light....a lot going on in Tall Mom land..
We are VERY EARLY in the process of selling our home and buying a new to us home. I actually sold Real Estate for a year prior to my current job so I am relatively savvy, but WOW have I forgotten a lot. So here are my 3 cents so far. 1. Cleaning and staging a house while raising two small children is TOUGH. We have a clean home, surface clean, I am not a deep cleaner. The Good news is our Realtor only spotted one thing to fix, the towels hanging on the back of the door in the bathroom..LOL!! Keeping the house is showing shape will be a test. 2. Did you know that some people qualify for a "Move Up" tax credit of $6,500. Click HERE is you want to learn more. I am hoping we can sell and move in time to benefit from this program. 3. The sign goes in the yard on Wednseday!! I CAN'T wait to start house shopping!!! I hope that we find 'The One' quickly and can help our boys adjust to the move with little interruption. At the store looking for shrimp I saw a bag of Tilapia fillets, only $3+ for 1 pound of frozen fish. Seemed like a good deal. Muscle Man cooked them up today with some onion and mushroom, YUMMERS.. (The picture above was taken from Food Network, not his food) I did a quick google search for Tilapia Recipes and found a few, click HERE. We had ours tonight with some rice and broccoli, light and tasty meal. Last year at the Seattle Rock N Roll Expo I met Marco and he gave me a pair of recovery socks that had been sewn with the wrong colors. Those Pink socks are my SAVIORS!! 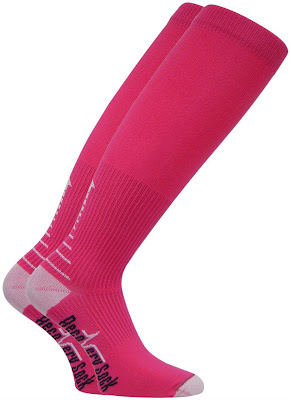 These past few weeks I have worn my pink socks all day on Sundays after long runs. This Sunday I wore them while cleaning and to play Volleyball. I can honestly say that my legs recover faster and feel better because of these socks. The price tag is well worth the value, and BONUS you can run wearing them. and so easy when I want to." Think about this is relation to running, working out, eating right, work, anything really. We as human enjoys things more when we WANT to do it. This trick is to retrain the brain to believe that the "Have to" can also be a "Want to." Does not always work. Often we spend so much time fretting about what we "Have to" do that it takes away from our joy. This week on your runs approach it with a WANT TO heart and see how it feels. PS. I have sent out 2 Weekly Inspiration Emails to the 1,000+++ Clubbers, if you want to be added to the email list please let me know. I am aiming for Monday nights. Any great products I should know about? 2 Years ago today we welcomed a new member to our family. My pregnancy with Little Stud #2 was not too rough, but it wasn't easy either. He moved CONSTANTLY and I had debilitating pregnancy induced carpal tunnel. STARVING!! So I ate and ate.. And ended up gaining 65++ pounds.. But all for this precious little man!! I thank him because after an easy delivery I had energy and was ready to TACKLE the post baby weight. Having two boys is a blessing, and I cannot imagine life without our Little Stud #2. HAPPY HAPPY 2nd Birthday Little man!! Please do not become terrible at two because Mommy would miss you..
****I will not be running today because I spent the ENTIRE weekend on my feet cleaning our house to get it ready to sell!! Sorry I was absent from Blog land commenting, I was deep cleaning every inch of our house. 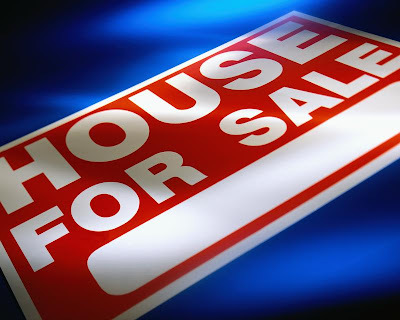 We have high hopes that the house will sell and we will find a new place. The one cute thing while cleaning was Little Stud #1 is VERY good with positive encouragement, "Mommy you are doing a good job. Am I doing a good job Mommy?" "Yes buddy thank you!" Smile "We are doing a good job cleaning." So funny!! ***Don't Forget you have until Wednesday 1/27 to enter to win a TUTU from the lovely TMB. Click HERE to enter. 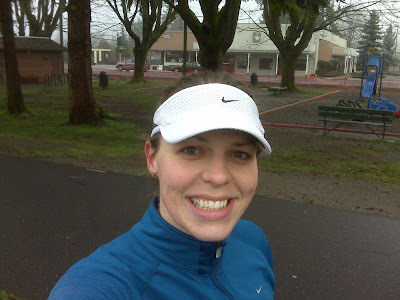 Rainy run in Orting with the Fleet Feet training group. Woke up sorta late, Little Stud #2 will be 2 next week and still does not sleep through the night. Last night I was testing the tough love approach and did not respond to his "Mama Drink" screams over and over for an hour!! I was tired. Turned on phone, Zoe my NRBF was not feeling well. OK my day to meet some folks in the Fleet Feet training program. As I headed down the hill rain drops hit the windshield, thankfully I had grabbed my Patagonia jacket on the way out. Keeps me dry. Parked, sprinted to change, chatted with my buddy Jess. And before I knew it we were off. I got stuck behind a group and saw a lady up ahead. She was running at a good clip... HMMMM?? I ran to her left... Which running buddy pickup line to use?? "Hi, I'm Melanie. What pace are you running today?" (Yes I am THAT cool) Friendly reply, "Not sure, around 8:45ish." Me "Do you mind if I run with you?" I quickly learned that her name is Tammy, she has 5 kids the oldest is 18, she is an Iron-woman, qualified for and is currently training for Boston. WOW!! I like to ask leading questions to learn as much as I can about people. At mile 2.5 Tammy stopped to get water. I am training with my Golite handheld so I kept on she would "Catch up." As I headed up the only little hill on the trail I noticed a figure to my left. I slowed a little to find a 6'0 tall man, "I have been trying to catch up to your two." Matt, a young looking 40, has run a few marathons and is hoping to get a BQ at Capital City Marathon. He was running about 8:30 pace so I just went with it. Eventually Tammy caught up and we all continued to chatter. They planned to run 11 and 13, I did not want to run more than 10 since I had pushed the pace on Friday. I turned at mile 5 as they SPED on. Alone.. Hmmmm.. I felt a little tired but without my Ipod I sped up to get it over with. No Zoe, no Sam (lazy bird). I passed runners who smiled and waved. Eventually I saw a couple ladies who I remember leading the pack last week. They were about 200 yard away with 2 men, one of the coaches, so I sped up. Started to pass and the coach said "There is the barn burner." The ladies started asking me questions, so I ran BACKWARDS for a few paces. "Are you the one who is trying to qualify for Boston?" "Yes I am HOPING to!" I turned around. More questions, I slowed to talk. Jen and another Tammy, training partners who met at church. Tammy(2) is a Marathon maniac with beautiful red hair, she talked a lot about others, not much about herself. Jen is newer to running (I think? ), has 3 kids including 6 year old twin boys and a 3 year old girl with curly blond hair named Molly. They let me crash their party for 3 miles and the time passed quickly. Ended at the park with my friend Jessica and her training partners. Realized I had lost one of my LUCKY runner earrings. SAD!!! My legs felt AMAZING!! This run reinforced the fact that I can and should run just under 9 minute mile pace. My legs are more sore when I force myself to slow. Another WONDERFUL long run done. Have you ever met a new friend while running? Nice day, no wind, testing new gloves and running past many many men. -Set out trying to find a good 6.2 mile route. "Think I will just run comfortable and not worry about my pace." -Pass guy with floppy hair sprinting across the 3 lane road. "I think that hair would be annoying. Reminds me I want to rent Prefontaine and buy books related to Eugene running." -Dude wearing sunglasses and over sized knee brace smiles, waves and scoots on his way "Ouch I remember those days, so uncomfortable to run with a knee brace, poor guy." (FYI I tore my ACL senior year in college and have 2 surgeries to repair). -Redhead sporting the Capital City Half race long sleeve shirt ZOOMS by "I keep meaning to talk to that guy. I see him all the time. I wonder what his pace is? Doubt I could keep up. I love that shirt need to wear mine, funny that guy was using the thumb holes." (FYI shirt is green-layer (HERE), the green-layer folks are AWESOME, more on them soon). -Stride past Jack in the Box, Wendy's and Taco Bell "I would much rather be in my car in the drive through line than running right now." FAIL!! -Older gentle man with heavyset trainer (?) jog by "That pair always confuse me, I think the older guy may have hired the younger as a running coach? Hmmm.. The trainer(?) sort of looks like a heavier version of John Gosselin. Lordy why did I think that name? It has been at least a week since I have heard that name on the radio." -Two SHORT guys dart by without even a look my direction "Those are the DORKS who ran me off the sidewalk when I was just starting to run and 210lbs. No time for even a courtesy wave, still dorks I see." -Starting to lose speed I look ahead, just under the overpass is a SHADY looking guy wearing a backpack, squatting against the fence. "Maybe I should turn round. No I am OK, I really want to go that way. It is my favorite route along the river and I have 2 miles to go." Guy stands up and takes a swig of a 40 ounce blue can. "Melanie turn around now!! You do not want to know what he is up to!!" SPRINT away and do no look back, heart pounding. UGH!! -Out and back past the Taco Bell, Wendy's and Jack in the Box "This was not how this run was supposed to go!!" ****And that is how it went… Gosh I hope my running partners Alex or Zen Runner will be ready to run next week. If not I am going to latch on to one of the non-shady guys and make him my buddy. 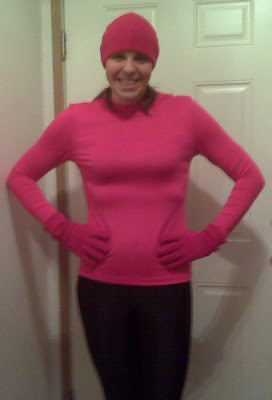 -This morning LONG run with Fleet Feet Training group, my RBF (Running bandit friend) Zoe and hopefully Sam the Eagle. .5 x 52 weeks in a year= 26 Miles!!! 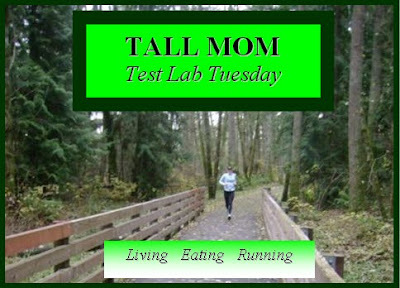 I am updating the Tall Mom Calendar, I realized I am a bit behind, SOOO SORRY if I missed a race that you provided to me. Please send me your racing/events schedule if you want to appear on High Five Friday..
Badgergirl- Indoor Triathlon and BIRTHDAY! For FUN I will be posting my Wednesday Runs in the form of ABC bullet topics with 3 bullets for each letter. Gives me something to think about during my run. Next week will be DEF and so on… Can you tell I am a MOM?? I am sure some weeks will be tougher, I better start thinking about "X" now.. ENJOY!! Perfect day for a run on my BEST FRIEND Charity's birthday. -The main road to my work always always has motorcycle police officers on patrol. The speed limit is 35mph, I go 39ish and always have drivers passing me or riding my license plate. Today while running I saw 2 people pulled over and I admit, I laughed inside. EVIL!! -I know that there are not Alligators, Crocodiles or Anaconda in my area, however when I run the small clay trail through the retention ponds I admit, I am always freaked out and think I am going to be eaten. But of course nothing happened, but I did eat ANOTHER bug. -My spandex capris are too lose and I admit my belly and booty were jiggling too much for my comfort. Anyone have any capri spandex recommendations? -I could have run in a tank top today, the sun was shinning and it was WARM. No wind, the weather was amazing! Mount Rainier is Majestic and I am BLESSED to see such beauty on a clear day. -My 6 mile route is blocked by flood berms, for who knows how long, so today I made up a new route. It took me through my FAVORITE beautiful places in my work area, across the bridge in the wetlands, over the mosaic tiled path near the fountain, and through the moss covered trail in the woods. -Found out today that I will be travelling to Beaver Creek Colorado for work in late February early March. I am excited for the opportunity to travel to see the beauty of a new state and have some (self-inflicted) Olympic style altitude running training..
-I have converted to a one ear bud runner. I LOVE LOVE to hear my tunes to keep me moving, but there is something about the birds chirping, and my feet hitting the pavement. Not to mention it is MUCH SAFER! -I know that I should convert the the paces set on my training plan….BUT!! Today I just ran what was comfortable and I ended up with 9 minute mile pace, faster than the 9:17-9:40 in my plan, but I felt GREAT! What a TREAT to be featured as a Wednesday Winner on "Running Circles Around the Turtles" this morning!! Thank you Robin for the fun questions. What are your thoughts about Bragging, boasting, prideful chatter?? Your Challenge today, if you chose to accept, it is to BRAG! To the checker in the grocery store, on facebook, on your blog, wherever you chose. Tell someone, or a bunch of people what you are proud of. Then come back and tell me how it felt. Even as a running coach myself, preaching to all I train to run your long run slow, most do not. But you truly reap the benefits of recovering faster. The trick is to teach your body to run far, that's it. Now, you can, and I highly recommend, adding some Marathon Pace (MP) miles intermixed in your long run, somewhere in the middle, so your body adjusts to it. And every third week, I substitute a long run for MP run of about 11 miles so the body knows what to do. With taper, rest and carb loading, come race day, the legs just want to goooooo. But if they are overly tired from running too hard on long runs, they can't do it. 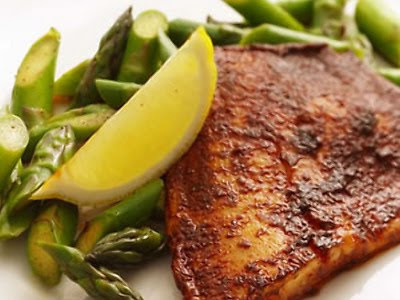 Glycogen is key here and you don't want to run out too soon. Thanks Jill!! I will follow the plan and mix in some MP miles.. While perusing the stores lately it is hard to miss the bright pink and red everywhere. Tell tale sign that Valentines Day is just around the corner.. I think that races where you are encouraged to wear costumes are FUN!! So here is my attempt at a Valentines costume, what you cant see is the cute Sweetheart socks I am wearing (Thanks Shelly). Hmmmm... Close, but what am I missing???? Bloggy Pack member and Tall Mom friend TMB (HERE) can answer that question. TMB is STYLISH, so much so that she even impressed Bart Yasso with her recent race ensemble.. TMB is a busy Mom, Runner and entrepreneur. She is the owner of My Little Pink Dots (HERE) Today TMB and My Little Pink Dots will help you to complete your race ensemble, or possibly make a little lady you know very happy, by hosting a GIVEAWAY!! What will you win??? 1. Go visit My Little Pink Dots HERE and shop around. Come back and tell me which products you liked. If you purchase something let me know you will get 5 extra entries. 2. Become a Follower of My Little Pink Dots HERE or of TMB HERE. Leave a comment to let me know you clicked to Follow. 3. Become a FAN of the My Little Pink Dots Facebook Page HERE. Leave a comment. 4. Which tutu name (Pixie, Diva or Princess) best describes you and why? Leave a comment. 5. Post a link to this Giveaway on your Blog. Leave a comment. 6. What is your favorite tutu memory or story? Leave a comment. Giveaway Ends and the WINNER will be announced next Wednesday 1/27. **Today I have a 6 miler on my lunch break..so check me out on Dailymile.com later today for full details.. I saw this SALE posted on Lil Runner's Blog HERE.. So I thought I would pass it on..
Hello $59.88 for 2009 shoes.. Welcome new Bloggy Pack Members!!! Nicholas Sparks (HERE) is my FAVORITE author. Tall Grandma and I have read all of his books, I own the collection in hard back. 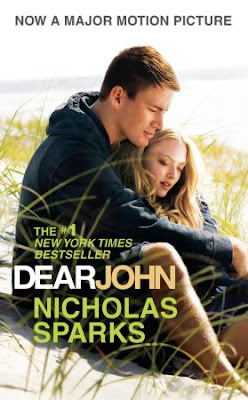 Imagine my delight when I viewed the trailer for the newest Nicholas Sparks book turned movie "Dear John." From the previews the casting looks spot on and I can hardly wait!! (Charity are you in??) Many of Nicholas Sparks books have been made into feature films, and I have not always been thrilled with the film rendition.. Here is a quick review, let me put my CRITIC hat on. The Notebook: This is the BEST romance movie, if you have not seen it go buy it, and buy Kleenex at the same time. Although it is not 100% along the lines of the book the casting was great. The story line was compelling and the costumes, LOVED THEM!! A Walk to Remember: I am a Mandy Moore fan so I loved this movie. It has the flare of a teenie bopper flick, but if you dig deeper it has a message of living life to the fullest. Message in a Bottle: PUKE!! Three Thumbs down! I read the book and saw the movie a few weeks later. Kevin Costner is BLAND at best and the chemistry between the main characters does not work. Nights in Rodanthe: I didn't care for this book as much as others, so the movie was just OK. Richard Gere can never be anything but a Lawyer picking up a call girl to me. Diane Lane had the same distant and pouty look most of the movie. If you are bored and it is on TV give a watch, but overall not the best. Oops he did it again! 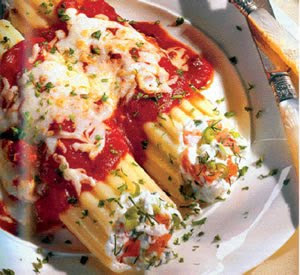 I bought all the fixins to make Manicotti, I LOVED eating my Grandma's Manicotti growing up. I have a goal to cook a new recipe once a month. Well when I got sick last week Muscleman took over. It was AMAZING!! 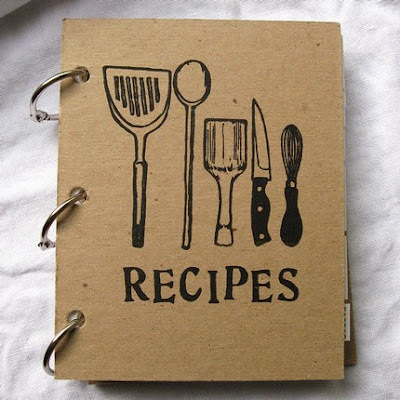 We have a great basic recipe book at home, will look up the title and review soon. 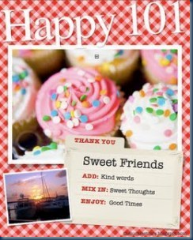 I am sure there are many many recipes on the Internet, just google it..
Debbie Macomber is a Washington writer. Tall Grandma has lent me copies of some great books. I recently visited her website to find RECIPES! This author loves to EAT! I have yet to try any but I love that she asks readers to submit recipes and features them on her website. Have you ever heard of such a thing? Well through a connection at work I received information about some great local FREE Races. 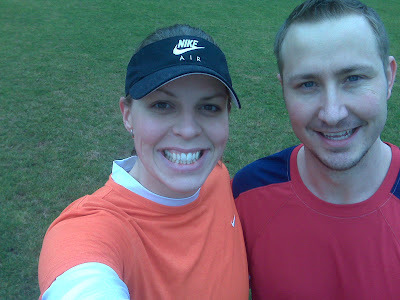 I quickly passed the details on to my local bloggy running buddies and I am 333% sure that most of us will be running the "Million Inch Run" on February 13th. The total mileage is 15.78, no shirts, medals or anything, but hey its FREE! Will give you a full report next month. This tempo run was BLISS!! I am not 100% sold on the out and back LONG STRAIGHTAWAY route, but it takes me past the Dreyers Icecream factory and yesterday they were cooking something that smelled like coffee and waffle cones.. YUMMERS!! It was 53++ outside, I overdressed but who knew it would feel like Spring? The sun was shinning and Mount Rainier was in full glory. LOVED IT! I LOVE LOVE the Friday run followed by Saturday Long run, I feel like this will prepare my legs for the fatigue factor on race day. With a mixture of tempo runs and hill training, mixed with the slower paced mid week runs, I feel this plan is totally easy to follow. I have just one, so far, and this is not really even a gripe. The whole run slower to go faster thing BAFFLES me! I have virtual chatted with many bloggies about this. As a former Basketball player I am used to practicing at GAME SPEED. How am I supposed to run an 8:20 pace for 26.2 miles when I practice my Long Runs at 9:17-9:40 pace?? Just one of the MANY MANY things I need to learn about running. 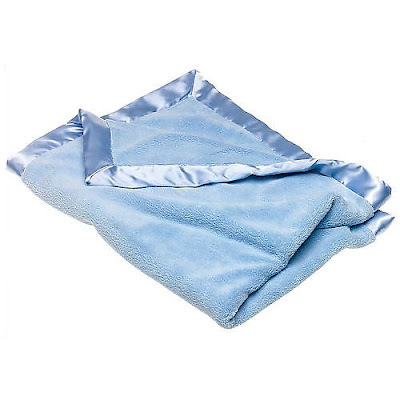 ***Have you found any GREAT products lately? So less than 1 year later and I have forgotten the pain, agony and defeat, because I WILL run the Seattle Rock 'N' Roll Marathon again on Saturday, June 26, 2010. My original plan was to run with my buddy Shelby for her FIRST Marathon, but since her hubby is going to join her... I have a new plan.. This year I am going for a course PR running with two women I have never met in person. Strangers some may call them, but I Disagree, these ladies are among my MANY MANY Virtual friends. The amazing and talented Amanda HERE. Goofy and great, one of the many reasons I LOVE Canadians, Marlene HERE. I am SOOOOO EXCITED!! There are going to be sooo many Bloggers and buddies running the Half and Full Seattle Rock 'N' Roll, this is shaping up to be an event for the photogs :) I am hoping to pull together a Meet up carbo load event, so email me if you are interested. OK that is about enough excitement for a Monday morning. Welcome new Tall Mom Bloggy Pack members!! And Happy Birthday Really Tall Brother.. Started on the track with a couple 400m sprints then ran home. Family track day... YIPPEE!! Muscle Man and Little Stud #1 started running, while Little Stud #2 and I followed 50m behind. We wanted to see how far the boys could run without stopping. Big Brother went 200m before getting bored and the baby went 150m then got winded and distracted by the numbers on the track. 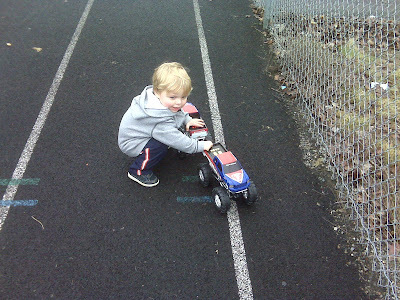 We then let the boys play with their Monster trucks while we ran a couple sprints. The plan was for me to get some make-up miles in since I was sick all week. So I would run home. I FORGOT MY IPOD...UGHO!!! I had no real pace plan, I just wanted to get 6 miles in. The route was hilly and I stayed positive, SCORE. I don't like running in our area, there are too many stoplights. The stop and go is maddening (Although I LOVE LOVE the talking crosswalks "You can no cross, 12, 11, 10..."). Overall it was a great run. I focused on my form and cadence, had no choice without tunes. My new shoes felt heavy, but maybe I am still recovering from being sick. Tonight is Really Tall Brother's birthday party at Tall Grandparents House followed by VOLLEYBALL!! 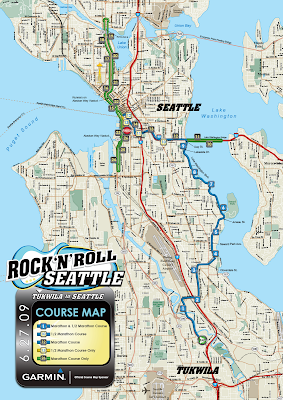 Will you be running Mercer Island, Eugene, Capital City (Olympia) or Rock 'N' Roll Seattle? Let me know!! More info about my MAJOR Excitement for Seattle Rock 'N' Roll Tomorrow..
Foggy day on the Orting trail first group run with Fleet Feet. I arrived early to see the parking lot PACKED!! Strangely I found a spot close to the bathrooms. I was a bit nervous to meet up with the group, not sure why I have no problem making friends. 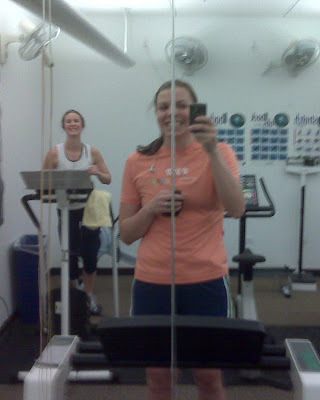 Chatted with my friend Jess who is training for her first Half Marathon. One of the coaches, and the photog for the training, came up and said "Tall Mom can I snap your picture? You are the running blogger right?" Quick pose, dimpled grin and an internal smile for being called "Tall Mom" in public. Zoe (HERE), my buddy bandit, arrived wearing short sleeves. I ran to say Hi, told her she was TOUGH and then listened scooted back for the announcements. Picked up my t-shirt and NEW TRAINING PLAN!! It is going to be challenging, but I love it!! Fleet Feet is very well organized with an aid station and coaches along the course. Two thumbs up! The group started running and no Zoe?? Hmmm.. So funny it felt like a race, I tried to push out the urge to be in front, so I started talking with Jennifer, her running partner was gone today. She is training to become a Marathon Maniac and hoping to avoid injury. Very nice lady!! I knew Zoe would catch up and she did. There were 3 or 4 women, a young guy and 2 coaches in front of us. My goal was to keep the planned pace. The plan said to run 8 miles....BUT I had not run all week due to being sick and I felt rested, so we decided to do 10. Paul, the owner of Fleet Feet was among the few who did 10 today. The run was uneventful, at one point our Baldeagle Sam (we think) cawed at us to cheer us on. We imagined that he was busy getting ready for a Salmon dinner date in the nest with his lady bird. That or he slept in. No bird sightings today. The miles felt AMAZING. My legs love 10 milers. Done and Done!! Fastest mile 9:18, less fast mile 9:30, very consistent pace. Back to the parking lot for stretching and talking with the group. I found Angie, we played basketball together in high school, she is training for her first Marathon while breastfeeding...TOUGH MOM!! Keep up the good work Angie! One of the coaches (I need to learn names) told me about a runner in the group named Heather, he thinks that Heather would be a good runner for me to "latch on to" for the training. So next week I will be sure to introduce myself, pretty sure I know who he is talking about..
A quick snap shot and home.. Muscle Man is heading to Portland and I slowed his progress since I tacked on the miles, sorry honey!! How was your LONG run today?? Ps. Come find me on Dailymile.com (Mel- Tall Mom Puyallup, WA). I am LOVING IT! 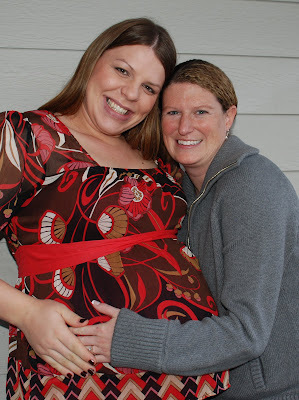 I even added the feed on the right side of my blog..
299 Tall Mom Bloggy pack members, WHAT?? Thank you!! Who wants to make it an even 300?? (hehehe) This has been a STRANGE week with busy days and being sick. I am HOPING to hit the road for a run today and I can't wait!! Thanks to Laura HERE for the link to this FUN High Five Video go check it out HERE and come back I will wait.. FUN!! Bloggy pack buddy Sami (HERE) tagged me to list 10 things that make me happy.. Since I have done this before I will list 3 word answers to mix it up. Here goes..
LUCKY me I was tagged again (if anyone else tagged me please let me know, I did not make it around this week to blogs). Bloggy Pack member Alicia, who just ran her first Marathon and wrote an AMAZING race report (read the report HERE), has given me an award... To accept I will list 7 random facts about me. 1. I can relate to a few country songs, "So much Cooler online" comes to mind. 2. My favorite distance to run is 10 miles. 3. I inherited jewelry from both of my grandmas when they passed. I feel blessed to own items to help me feel closer to them. 4. I played college basketball back in the day (Go Zags!). We played before dryfit clothes and socks... can you say sweaty blisters?? 5. Muscle Man and I met on Match.com. It was a pop-up that I clicked for fun. In his first email he said "And I am cute if that matters," the confidence in that simple sentence melted my heart. 6. Both of our boys were over 9 pounds. After baby #1 I felt horrible for months, after baby #2 I was up and rolling the next day. Amazing how different things can be. 7. Blogging has created an amazing network of friends, some I may never meet in person, but you ALL have such an impact on my life on a daily basis. THANK YOU!! Melissa- Was in a Magazine!! 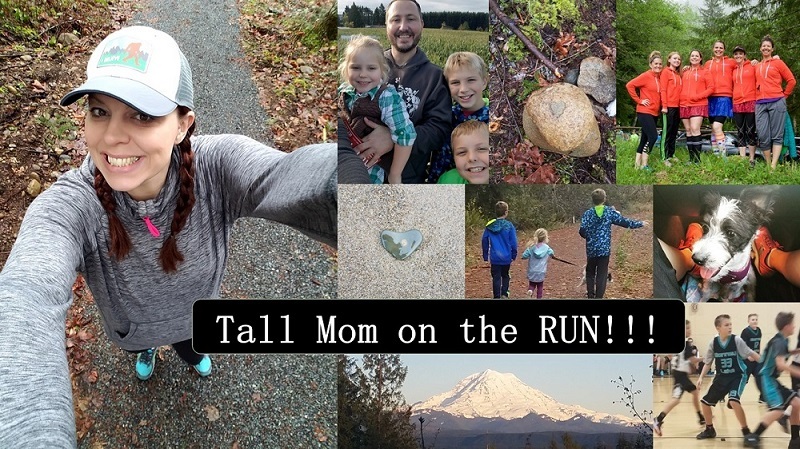 Jill (I call her Jilly) at Running to Sanity HERE *****FYI this new Blogger is a close personal friend of Tall Mom and is an AMAZING person and busy Stay at home Mom. What do you need a High Five for Today? PS. 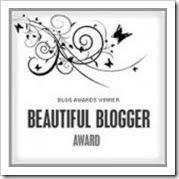 Sorry for the spacing on this post... Blogger can be a PAIN sometimes..
doing what people say you cannot do." One trait that has been with me since a very young age is CONFIDENCE. I have always been confident in sports, school and life. I love public speaking. I believe that I WILL succeed when approached with a challenge. We all have this inner confidence but often put out our own fire before letting it burn for others to see. We put ourselves in boxes, categories, stereotypes and rest on the words "That is just who I am." Well folks I am here to tell you that YOU CAN!! Maybe others around you have told you that you shouldn't or cant...but YOU CAN!! It starts inside with a belief in yourself then action to make that belief a reality. CONFIDENCE.. I win the bad blogger award this week because I have been in MARATHON event mode at work. And by the time I get home I am ready to crash. I will get caught up on reading and commenting soon. And I will update the 1,000+++ club list this weekend. Quick thank you to Shelly and Beth for the amazing packages in the mail this week. During busy busy times it is such a treat to get some unexpected love in the mail box. THANK YOU!! What do you want to do that requires a dose of CONFIDENCE to accomplish? While watching Noggin with the Little Studs I came across this WONDERFUL song.. Click HERE go watch ALL of it and come back.. trust me you will love it!! This catchy Little tune by the Laurie Berker Band makes me smile. Want to analyze the lyrics?? Head HERE. This topic seems to come up over and over in my Tall Mom mind. One of the MANY MANY things I love about running is that no matter how fast or slow WE ALL FINISH TOGETHER! What other sport do you get a medal for doing the best you can on that day? What other sport has people of all shapes, sizes, ages and skill levels touching elbows and sweating toward a common goal? For me I LOVE to go fast. I was a Basketball player most of my life, so my speed is GAME SPEED.....BUT.... I am also a running bird watcher, enjoy nature by the power of my size 10's and will run with a buddy regardless of pace. Slow or fast, I love to be outside and RUN!! The point to my Wednesday rambling....Fast or Slow enjoy the JOURNEY. And never never judge yourself based on the performance of others. Focus on yourself, your goals and do things at your PACE. In the End we all cross the Finish together..
Would you consider yourself a Turtle or Rabbit, or possibly another animal? What is your FAVORITE memory made on the Run? PS. I am still not feeling very well and will be doing my Big Girl job from 6:00AM to 7:30PM, no time for running breaks, and with no computer, so I will be out of Bloggy land. Would you do me a favor and check in on some of the 1,000++ club members?? Not everyone is linked in yet...but hunt around and go meet some new people...THANK YOU!! Will check in soon. This is the day I dedicate to all things I review.. If you have followed Tall Mom for a while you have noticed a trend. Nearly every race and many training runs you will find me in a grey, orange or blue Brooks EZ-T. I LOVE LOVE these shirts. Made of high quality dry-fit material, designed with a long waist and very cute style. This time of year it seems funny to talk about T-shirts but this shirt is great as a base layer under a jacket, or over a long sleeve shirt. With fun colors and CUTE Epiphany shorts to match, you too will love Brooks EZ-T's. 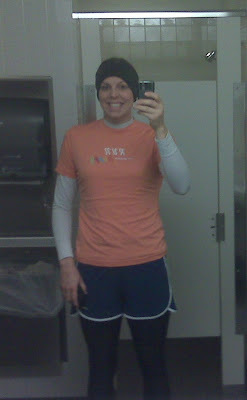 Speaking of EZ-T's I wore my "Run Happy" shirt on my first Treadmill run yesterday. 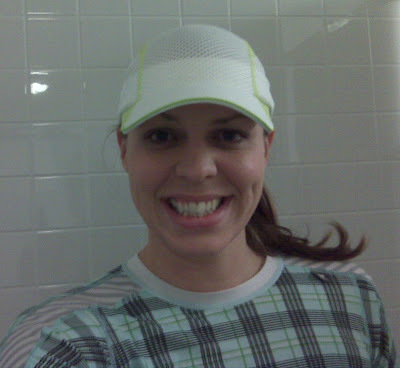 It was pouring buckets yesterday and I am not feeling well so I opted to run inside with my co-worker I call Zen Runner. I have run on a Treadmill before, but not in a LONG TIME. Avoided the rain and kept my new shoes clean. I felt like I was going to fall off. The Treadmill in our gym faces a BIG Mirror. I do not like watching myself while I run!! With all the bells and whistles I got intimidated and just hit the manual setting, it took me a few minutes to figure out my pace. HOW DO YOU TREADMILL RUNNERS DO THIS? I love being outside. Any new products that you LOVE?? Let me know..